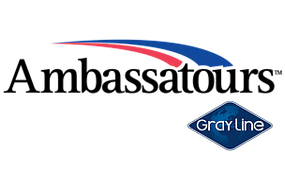 Ambassatours Gray Line is a leader in itinerary planning and tour programs for many of the world’s leading cruise lines. Ambassatours’ experienced local tour guides and professional pier-side coordinators ensure successful arrivals and lasting memories for guests visiting the Port of Halifax. Cruise visitors can enjoy the company’s historic walking tours lead by kilted guides, motor coach sightseeing, tall ship sailings, lobster dinners, coastal lighthouse excursions, nature and whale watching tours, combined land-water city tours aboard amphibious vehicles, and hop on-hop off tours aboard vintage double decker buses. Ambassatours Gray Line, along with sister company: Murphy’s the Cable Wharf, have been anticipating and meeting the needs of cruise guests in the Port of Halifax for 25+ years. Follow Ambassatours Gray Line on Twitter and Facebook.